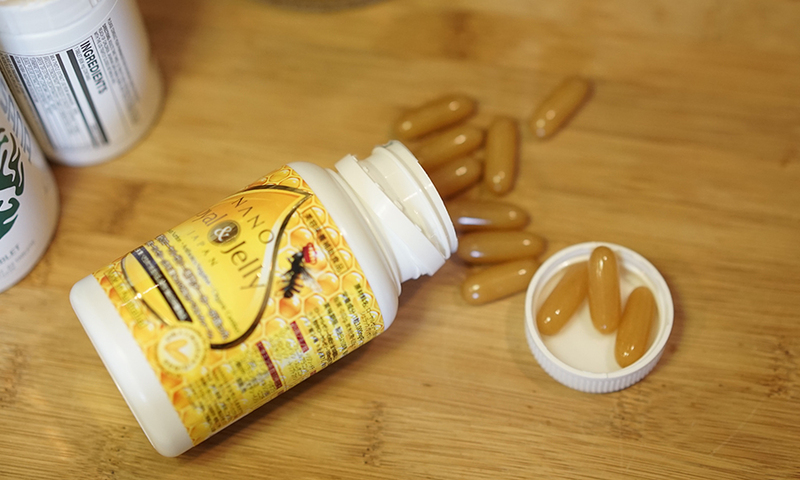 Yay or Nay: Collagen and Royal Jelly Supplements? Before I start the review, let me just say that I am not normally one who tries out supplements, so I don't have much experience with products like this. Collagen supplements are meant to work a lot like retinols for the skin - when ingested, the intended effect is for the collagen to be absorbed and delivered to the skin where it then would be able to boost elasticity, soften wrinkles, and plump the skin. 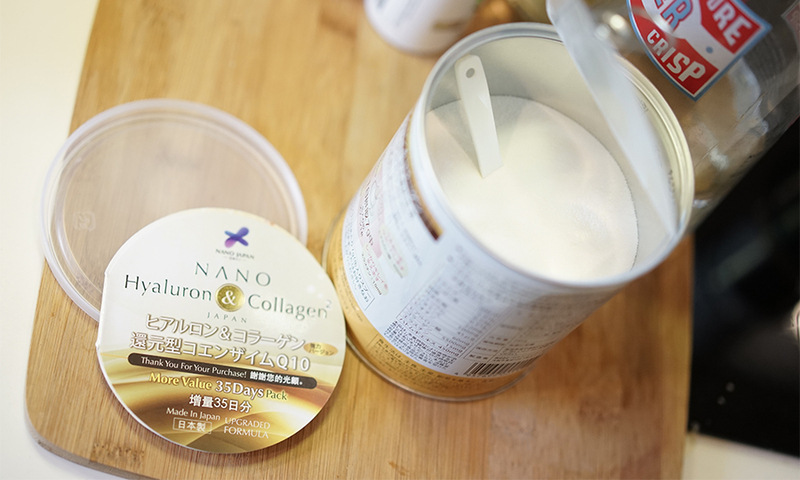 There are differing points of view in terms of the efficacy of ingesting collagen. Some say that collagen supplements are broken down too quickly, meaning that when you ingest collagen, it gets broken down as a protein before it can be absorbed and do any good for the skin. Other newer studies, on the other hand, have tested and shown that the ingestion of collagen managed to boost skin elasticity, reduce hyperpigmentation and wrinkles, and reduce pore size on participants. These studies are relatively new, but show a promise that these collagen drinks may be the answer to younger-looking skin after all. I was afraid they'd taste much like my protein supplements (horrible! ), but they ended up being surprisingly palatable. I mix them in with my coffee in the morning, and it just makes the coffee slightly thicker, and has a little bit of a sweet, almond-milk type scent. They don't take up much time. It's pretty easy to add these to your routine without really thinking about them too much. Just toss into your coffee mug in the morning and you're set. They do seem to work. Now I can't be 100% sure of this, but it seems I do see/feel a difference in my skin when I use this. I haven't been drinking them recently (I stopped before I left for Paris), but when I was, I noticed a slight improvement in the tautness of my skin. I feel like the area where it's shown the most is around my mouth, where my smile lines are. 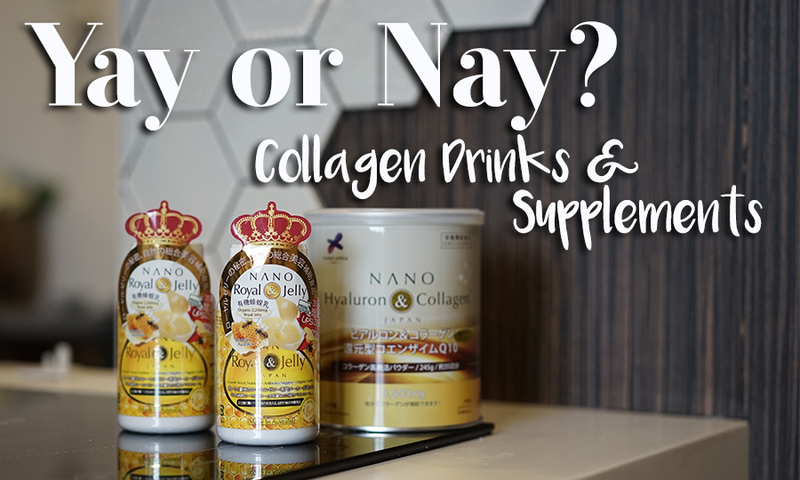 The skin around my smile lines generally tend to droop a bit, but when I took the Nano Collagen supplements, I saw a slight reduction in the visibility of those smile lines, and if it was all down to this drink, that's one hell of a supplement! I think if you've got the extra pocket money, most definitely shell out for collagen drinks and just keep them in rotation since they aren't very cumbersome or overly expensive. If you're on a budget and need to properly consider your options, stick with products that are proven to work, like Vitamin C and Retinol, and wait till the studies definitively prove that consuming collagen can help boost collagen levels in the skin. Don't expect to wait very long, though. There's so much promise in this area, we should definitely keep an eye on the studies that come out on the subject in the near future. And a whole host of other benefits. These are fantastic supplements to throw into your daily intake, and I am doing so right now!